Malignant fibrous histiocytoma (more accurately known as undifferentiated pleomorphic sarcoma) has been reported in the prostate. 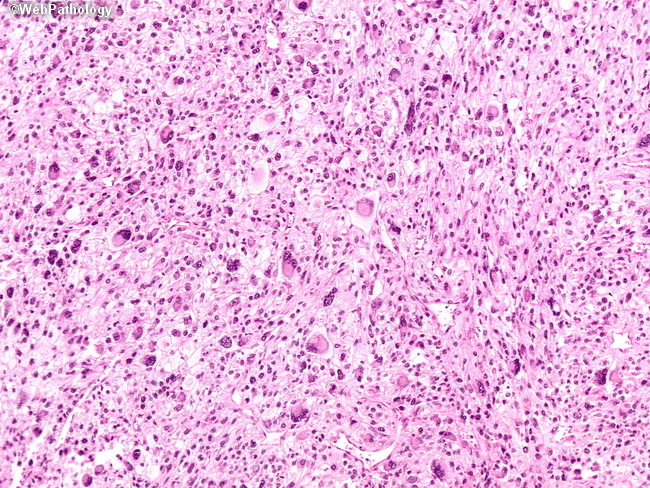 The image shows highly pleomorphic tumor cells, including multinucleated tumor giant cells haphazardly scattered in the stroma. There were no distinct areas of storiform growth pattern. An extensive panel of immunohistochemical stains yielded positivity only for vimentin.